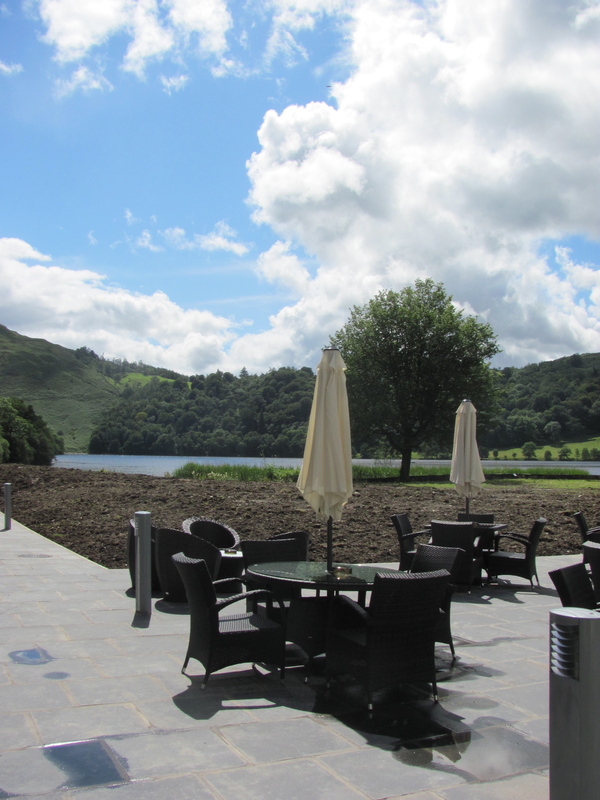 It’s not often we get a brand new hotel in Grasmere, far less one right on the shores of Grasmere. I had written before about the trials and tribulations of the old Prince of Wales/Waterside Hotel in a previous post “Prince of Wales Hotel, Then and Now”. Lots of people had commented on the blog. They were people who had memories of the history of the old Hotel, people who had worked there, people who had stayed there, and lots of people commenting on their worries of what the Hotel would become. Well, a new chapter begins here. 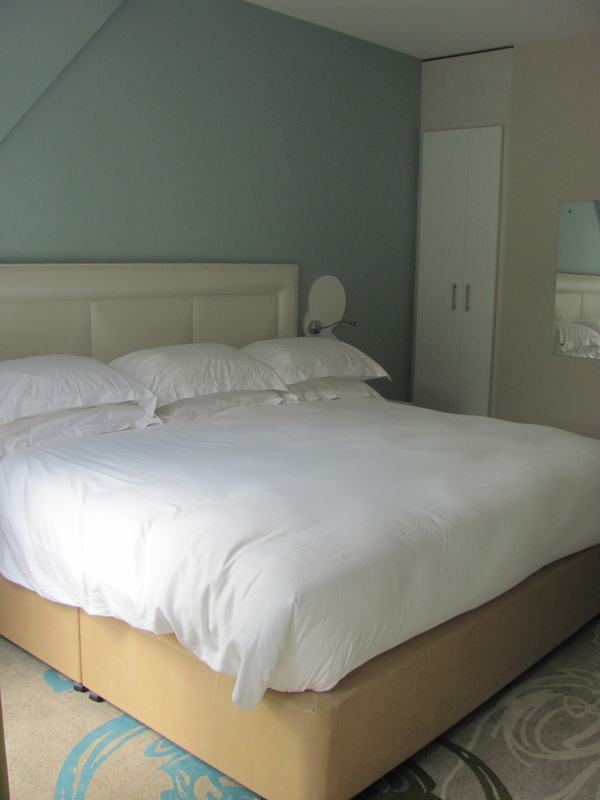 The Hotel opened on the 26th July 2012 under a new name. 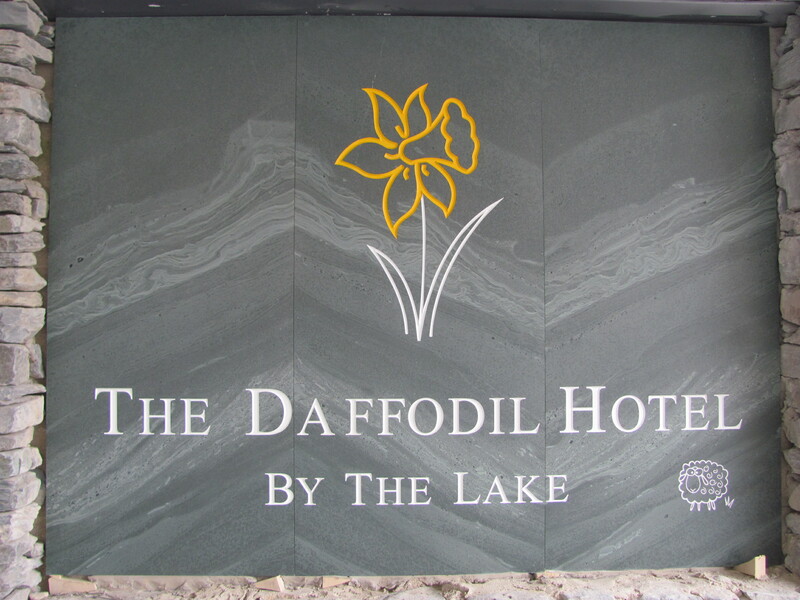 The Daffodil Hotel. At first glance it is obvious that a lot of work needs to be done on the grounds surrounding the hotel, after all it has been a building site for quite some while. However it’s not difficult to visualise what it will become. While the outside might still need a bit of work, the interior is more than finished. 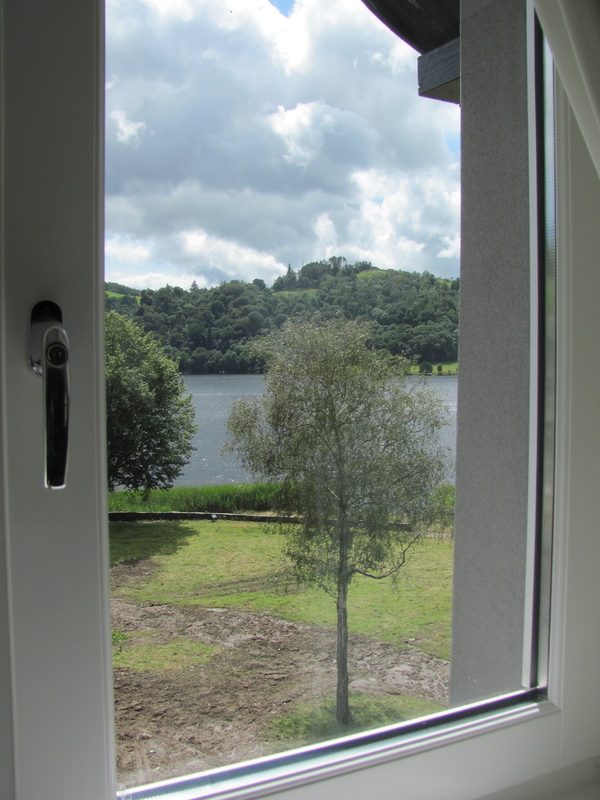 Talk about a room with a view! It must be one of the most stunning settings for a hotel you could imagine. 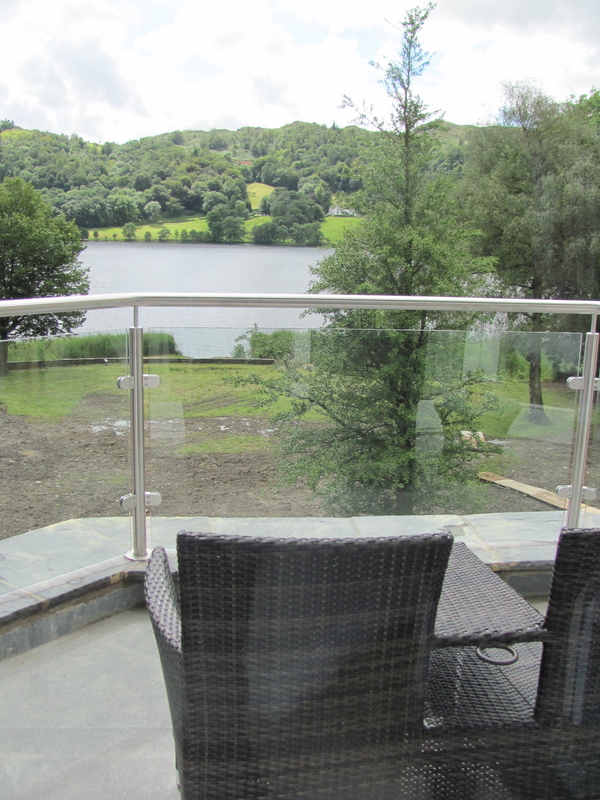 And what about a room with a balcony overlooking the lake. Yes you can have that too. There is talk of having lots of natural flowers in the gardens, bluebells, daffodils, just imagine how nice that will look. 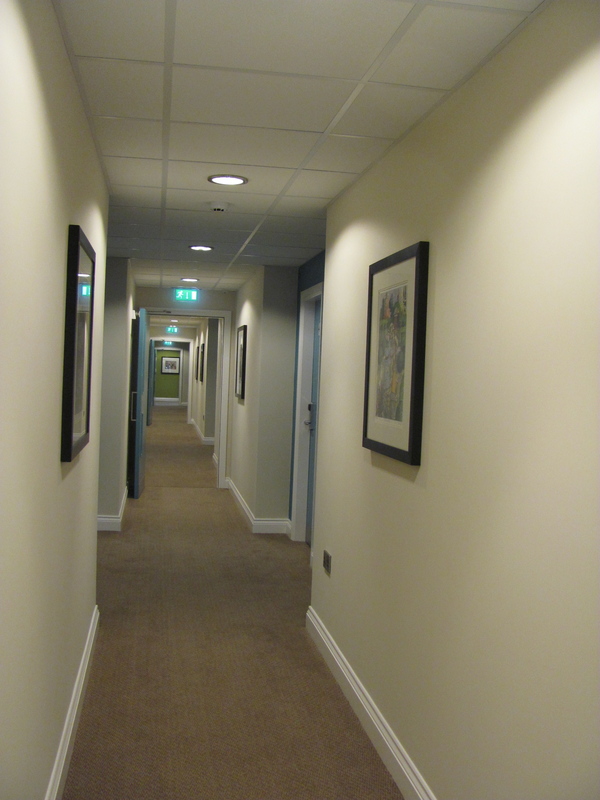 Anyway, let’s wander down the hall and see what else we can find. I say wander, but it’s easy to become distracted by the wonderfully quirky limited edition prints hanging there. Worth a look in themselves. 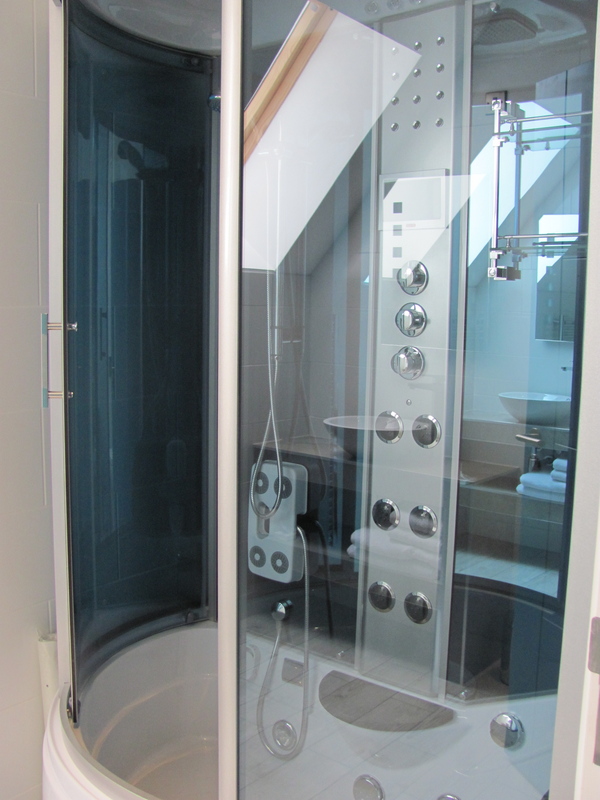 Being female I couldn’t help being impressed by the Molton Brown goodies in the bedrooms, and guess what, there is even a Molton Brown room you can stay in, just take a look at this shower. You don’t need to worry that the character of the hotel has been lost though. 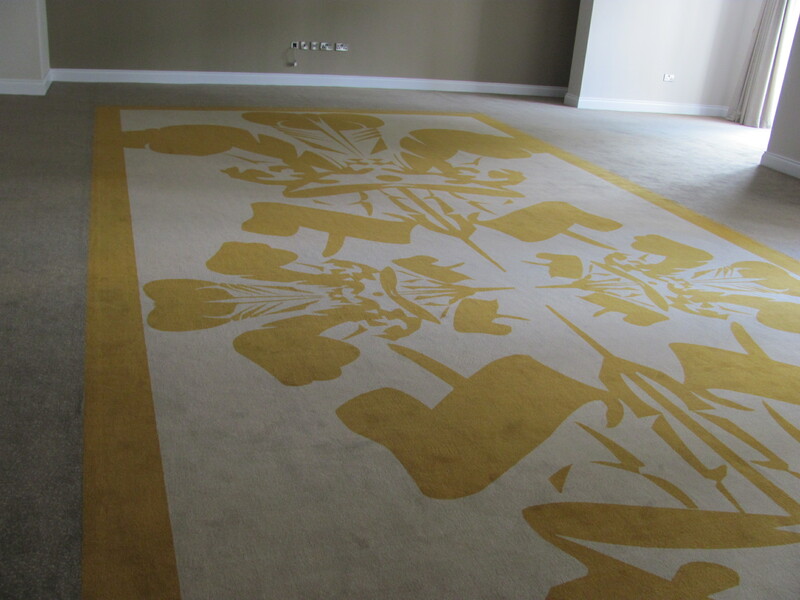 There were still plenty of sympathetically restored areas of the original hotel. Lots of variety in the rooms, some were suites, some had amazingly large baths and bathrooms, it would be hard to pick a favourite. Lovely little touches like echoing the pattern of the beautiful carpets, on the wardrobes. But I still had to see the bit I was most excited about. 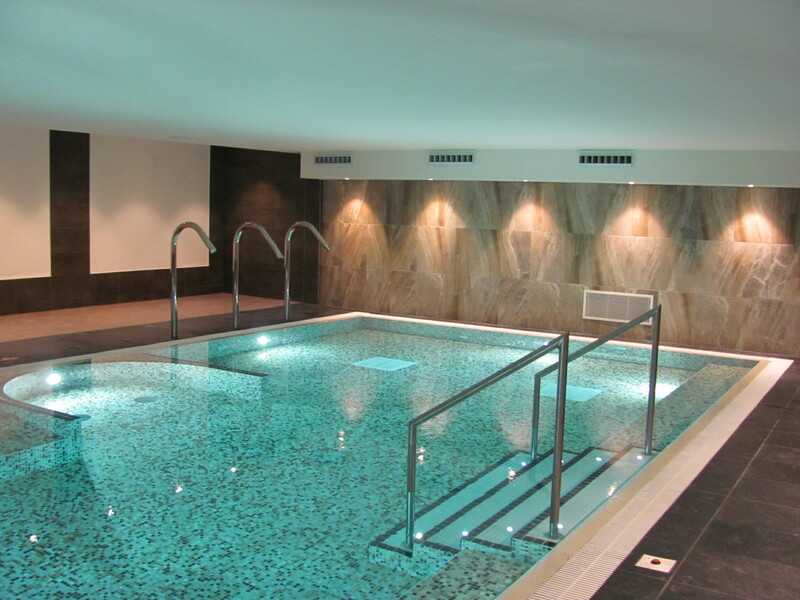 The Spa. And what a spa. 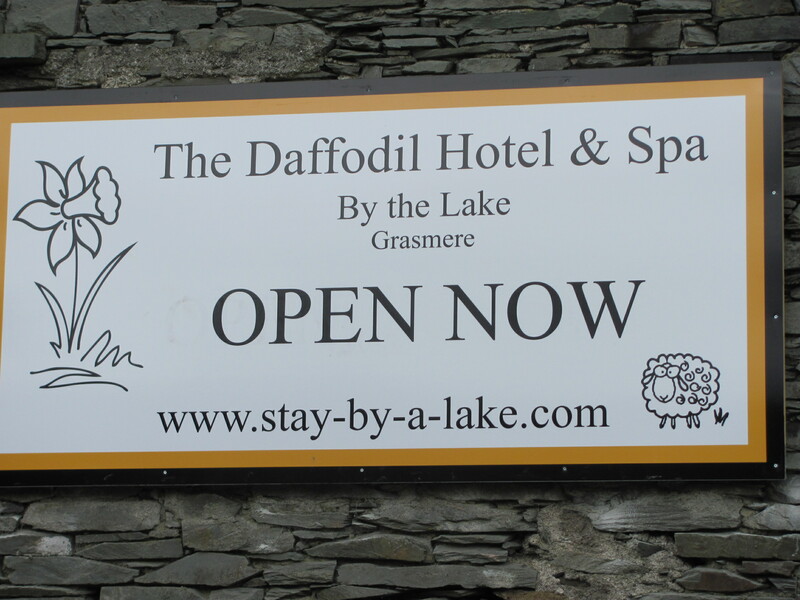 To quote a famous retailer ” This is not just a spa, this is a Daffodil Hotel spa”. Not a swimming pool, but lots of different experiences in each area. Talk about relaxing. 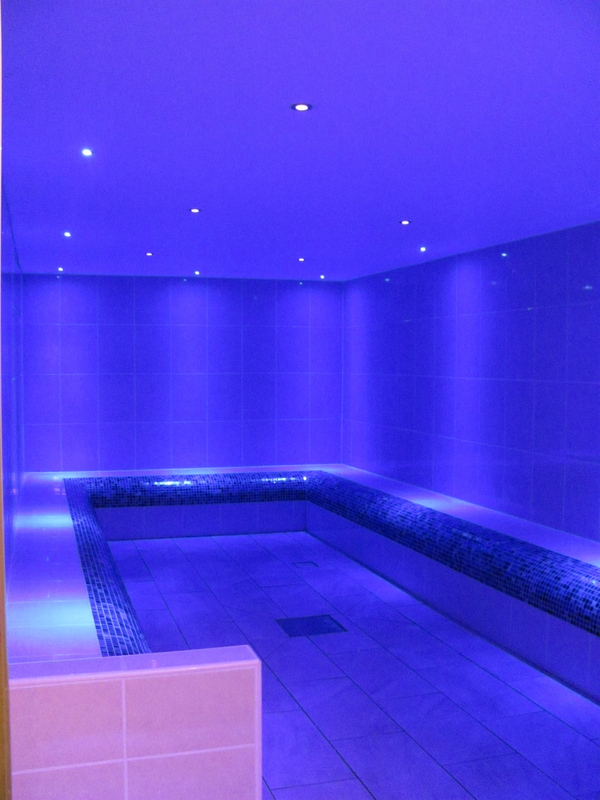 And as if that wasn’t enough, what about the very large steam room. 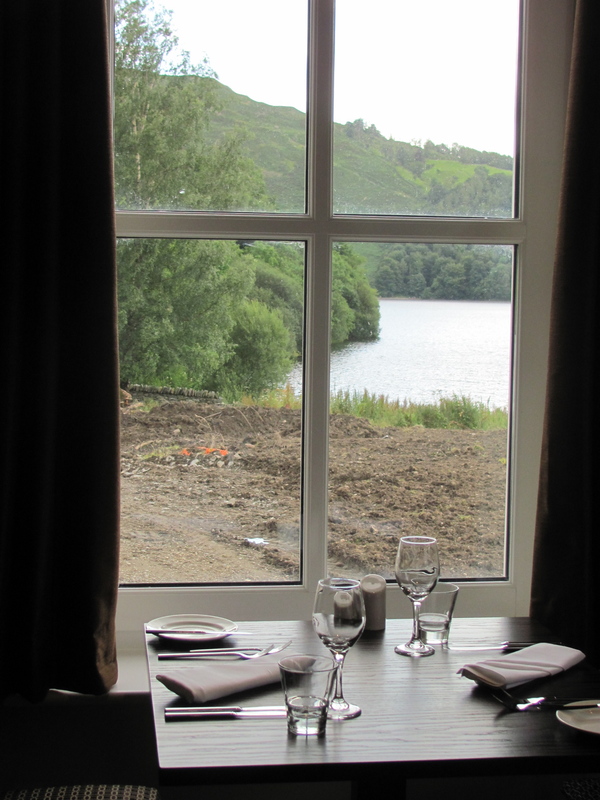 Now to have a look at the dining room and bar area. Well this table will do me just fine. By now I was just about ready to book in, what a shame I live so near. Free Wifi everywhere too. I also had a quick peek in the two reception rooms, and to all the folk who thought the past had been forgotten, one was called the Waterside room, and one The Prince of Wales. Guess which this is. 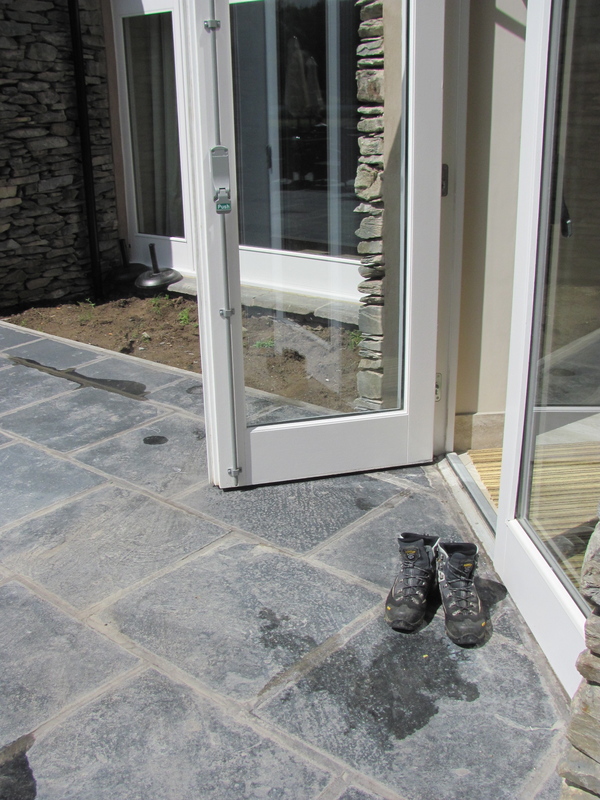 By now the sun was trying to come out, and as I was going outside I had a little laugh to myself that one kind guest had obviously decided not to dirty the carpet! There are views from every direction in the grounds. 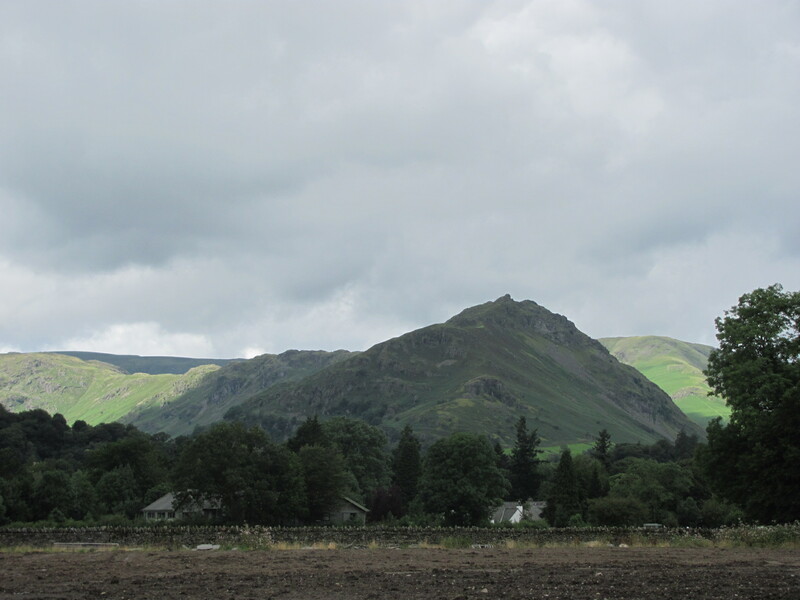 How about this view of Helm Crag. So there you have it. A new chapter in an old hotel. 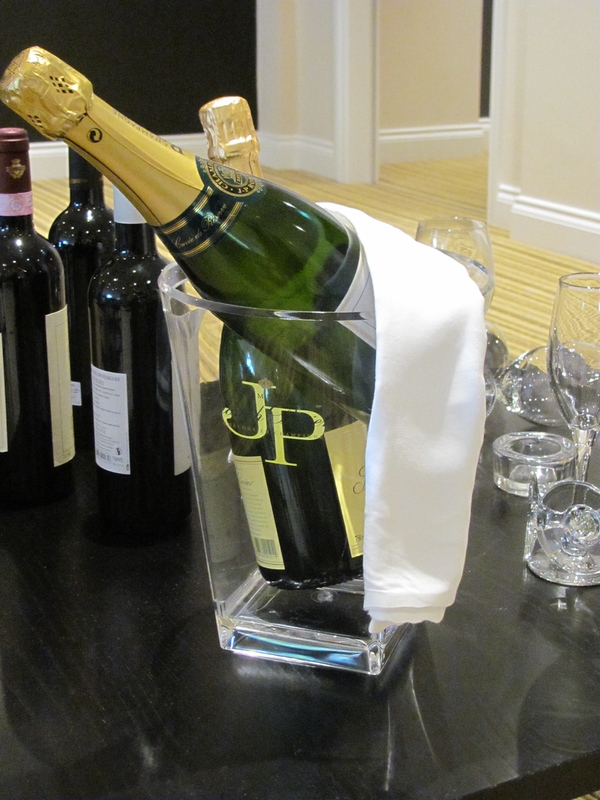 All that’s left to say is “Cheers” and all the best to the new owners on their exciting venture. I have just booked a surprise here for two dear friends, myself and my son. We are all so looking forward to this wonderful experience. let you know more after the event. 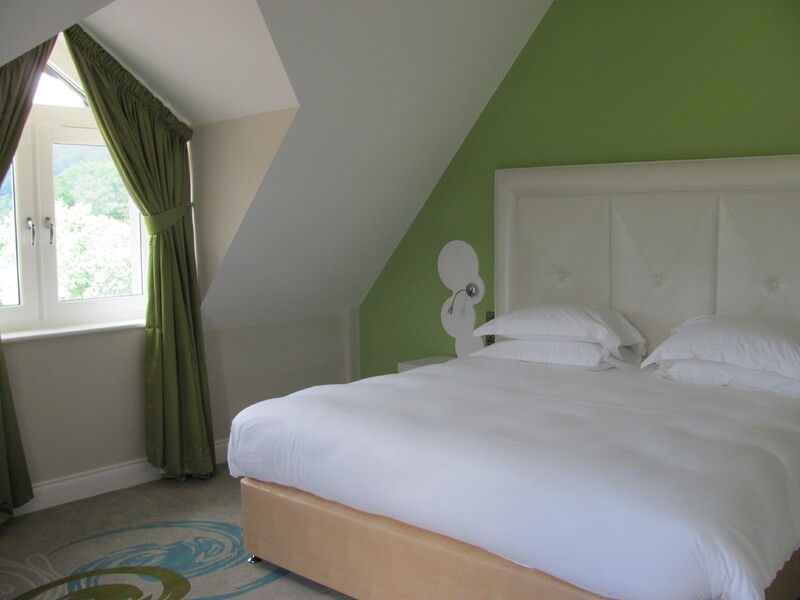 Just returned from a 2 night stay at The Daffodil, what a fabulous place, can’t wait to go back. That’s great to hear. They are working very hard on landscaping the grounds which will make a big difference. 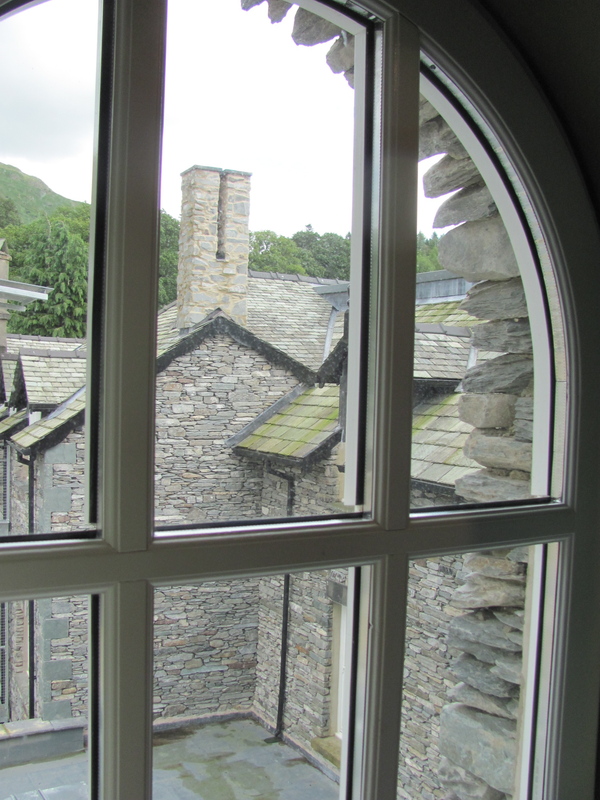 Glad you enjoyed your stay in Grasmere. We are so sorry to hear the Original “Prince Of Wales” at Grasmere is no longer. We had our first wedding anniversary dinner there some 48 years ago. Now live in Houston, Texas, USA and had visions or maybe returning for our 50th. Still may consider returning as it was an Ideal romantic and scenic location. It’s still a lovely place to visit and still a perfect setting!